Part of the bestselling Little People, Big Dreams series, this board book version of Ada Lovelace tell the inspiring story of this famous mathematician. 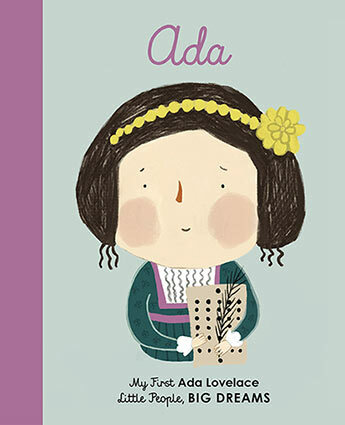 This board book version of Ada Lovelace - an international bestseller from the beloved Little People,Big Dreams series - introduces the youngest dreamers to the worlds first computer programmer. As a child, Ada had a big imagination and a talent for mathematics. She grew up in a noble household in England, where she dedicated herself to studying. Her work with the famous inventor, Charles Babbage, on a very early kind of computer made her the worlds first computer programmer. Babies and toddlers will love to snuggle as you read to them the engaging story of this fascinating mathematician, and will also enjoy exploring the stylish and quirky illustrations of this sturdy board book on their own. ZAFOUKO YAMAMOTO is a children's book illustrator from Greece who also works as an architect.